In November and December, members of Riviera ARC assisted the 10th (Torbay) Sea Scouts in preparing for their Communicator Activity Badge. The Sea Scouts were given a talk about Amateur Radio and a demonstration of HF radio and logging procedures. Among the requirements for the badge, the scouts needed to be able to recognise UK callsigns, know the phonetic alphabet and some Q codes. Many of the children had the opportunity to pass a ‘greeting’ to another of our club members on VHF. Riviera ARC are pleased to be able to support community activities such as this and it was rewarding to work with these well-behaved and keen-to-learn youngsters. 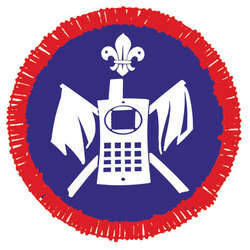 73 to Scout leader Nickie and all at the 10th (Torbay) Sea Scouts group from Riviera Amateur Radio Club. This entry was posted in 10th Torbay Sea Scouts, Riviera ARC and tagged 10th Torbay Sea Scouts, Babbacombe, Communicator Activity Badge, Scouts, Sea Scouts on 08/12/2012 by G2DXU.